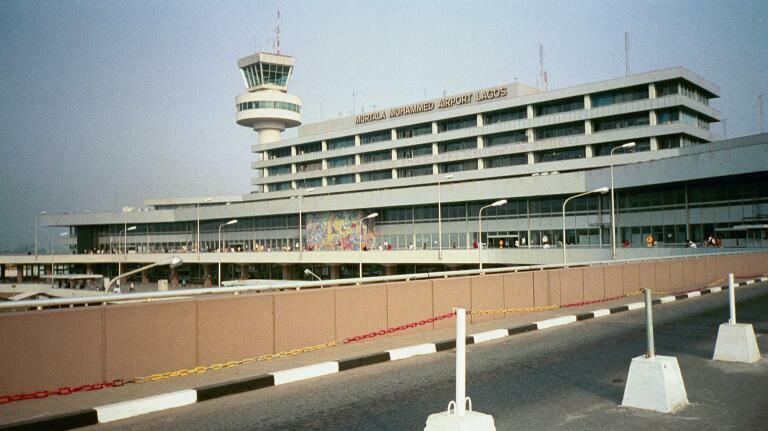 Following an indefinite strike embarked upon by a contractor of the Federal Airports Authority of Nigeria (FAAN), flight operations at the Murtala Muhammed International Airport (MMIA), Lagos have been grounded since early morning Monday, August 28. According to Sahara Reporters, all belts were shut down by the contractor in charge of the maintenance of the conveyor belts which checks in luggage at the airport, OTIS Nigeria Limited. This was due to alleged 8 months debts, running into hundreds of millions of naira, owed the company by FAAN. As a result of this, OTIS has reportedly been unable to pay its staff for 6 months now. According to the report, the company’s services were engaged by former minister of aviation, Stella Oduah, in 2012. The airlines affected so far by this strike action include the Virgin Atlantic Airways, Qatar Airways, Kenya Airlines and Med-View Airline. The affected airlines have reportedly been unable to take-off to their respective destinations so far, due to a delay in checking-in luggage . The airline staff were seen struggling to check-in luggage’s manually, causing much commotion at the airport and leading to fears that some luggage would not be placed on their respective departing aircraft. Passengers were seen struggling to identify their own luggage. The same chaotic situation was witnessed at the luggage claim area, where luggage were been deplaned manually. Passengers were then told to identify their luggage at the area. Speaking on the situation, a source disclosed: “The contractor has been on the issue with FAAN for several months, but the feelers they receive is that FAAN may not be willing to continue with the contractual agreement as the contractor was brought on board in 2012 by Stella Oduah. “The problem we have is that most of these companies are owned by those who contracted them while they use some persons as fronts.